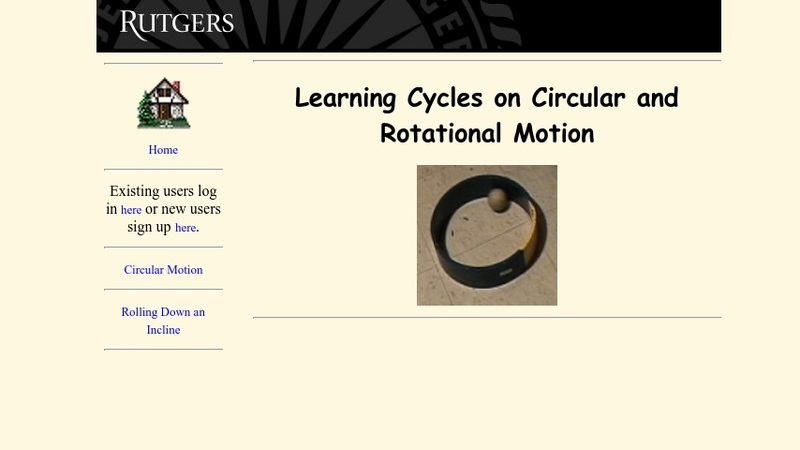 This learning cycle features 11 videotaped experiments, organized sequentially for introducing the nature of circular motion in introductory physics courses. Each video includes learning goal, prior information needed to understand the material, and elicitation questions. Students will engage in observation, qualitative testing, and application experiments. The instructional method is based on cognitive apprenticeship, in which students focus on the process of science by observing, finding patterns, modeling, predicting, testing, and revising. The materials were designed to mirror the activities of scientists when they construct and apply knowledge. Registered teacher-users have access to additional instructional guidance and resource material. Editor's Note: To incorporate a simulation into this learning cycle, See Related Materials for the "Simple Circular Motion Model". It explores the topic within the context of a merry-go-round system and is simple enough for use in conceptual physics courses.